The Chinese restaurant syndrome is a pattern of symptoms that affects some people after eating Chinese food. 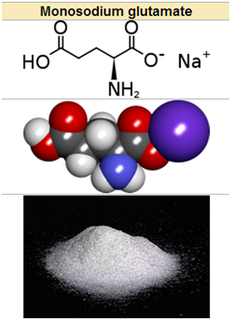 A food additive called monosodium glutamate (MSG) is involved in illness. For many years, food additives have been used for flavoring, coloring and extension of the useful shelf-life of food, as well as the promotion of food safety. Flavoring systems are very important in savory food manufacturing. One reasons is that MSG tricks our tongue into making you think a certain food is high in protein and thus nutritious. It is not a "preservative". The food industry is trying to confuse the issue by focusing on the "fifth" taste sense they call umami. It changes our perception of not simply taste but the nutritious qualities of what we put into our mouth. It is possible, however, that some people are particularly sensitive to food additives, and MSG is chemically similar to one of the main neurotransmitters in the brain, not surprisingly called glutamate (it is the neurotransmitter that our brain and many organs including our ears, eyes, nervous system and pancreas use to initiate processes in the body). It is 78.2% free glutamic acid, 12.2% sodium, and 9.6% water. Some clinicians have estimated that the prevalence of “Chinese Restaurant Syndrome” may be as high 1.8% of the adult population. CoQ10 Deficiency - nerve cells in the brain and else where may not have the ability to withstand the overstimulation caused by excess glutamate. Vitamin B6 deficiency caused by poor nutrition, alcohol use, or limiting this vitamin due to food/drug interactions. The symptom that occurs more frequently are migraine. So, Glutamate has also been described as a trigger for migraine headache exacerbations (Woods, Weiner, Abramson, Thien, & Walters, 2006). Radnitz (1990) suggested that glutamate causes a generalized vasomotor reaction, which causes throbbing pain at the temples and a throbbing sensation across the forehead. His claim derived not from a clinical trial but from an advice from the Diamond Headache Clinic. She also argued that those who experience migraine headaches are more susceptible to headache triggered by glutamate. Leira and Rodríguez (1995)postulated that glutamate can trigger a migraine headache because of interference with acetylcholine synthesis. 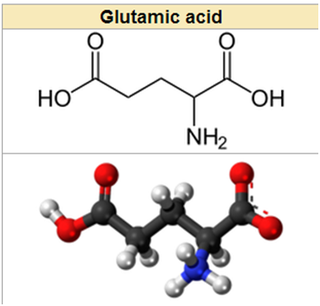 Glutamate acts as a precursor for the neurotransmitter acetylcholine (as well as a number of other physiological chemicals in the body). Acetylcholine reaches toxic levels in a very short period of time and acts on the brain and central nervous system. Therefore symptoms ascribed to MSG sensitivity may be caused by excessive levels of neurotransmitters such as acetylcholine. The Chinese restaurant syndrome is not particularly severe. In fact, the symptoms tend to regress spontaneously and there are not complicances. The people who suffer from this disease may avoid to avoid Chinese restaurants or consume foods rich in glutamate monosodic.